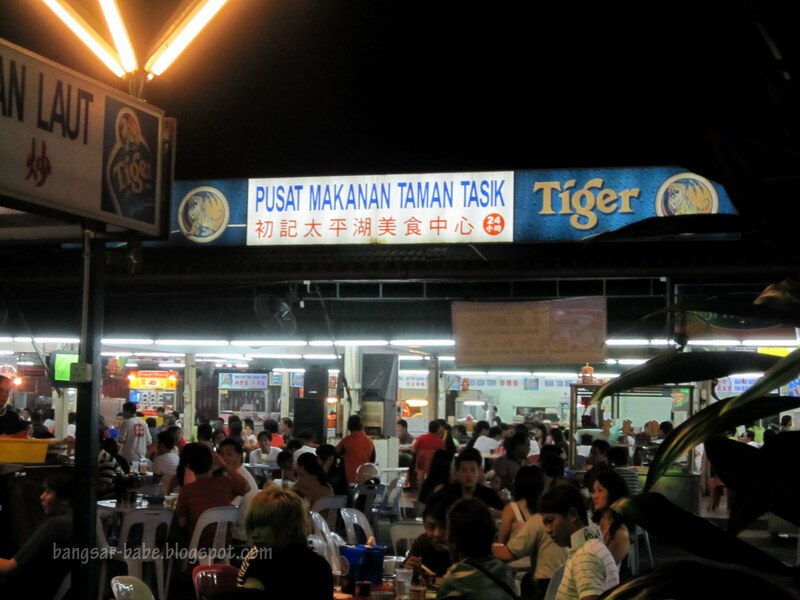 Taiping is relatively quiet at night and most of the restaurants close early, except for a few, including the food court at Taman Tasik Taiping. The gang and I felt peckish at 11pm as we had an early dinner in Kuala Sepetang (blogpost on that coming up soon), so we went to the food court. The place was huge and crowded with people having their supper or beer with friends. Most of them had a plate of fried loh bak on the table — we followed suit. 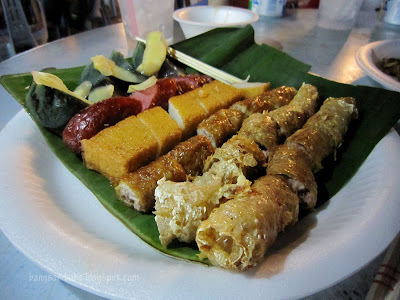 I’m glad we did as the loh bak (RM9.60) was nicely fried and generously filled with ingredients. 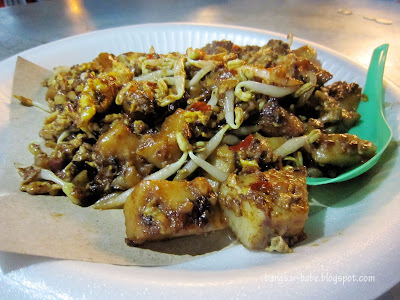 The sweet sauce was a tad diluted, so I ate my loh bak plain — it was good enough on its own. My favourite of the lot was the sweet pork sausage and pork roll. The fried oh chien (RM10.50) was decent. 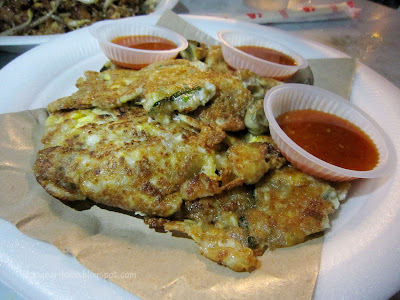 It had more egg and was not as oily compared to the Penang version. However, the oysters were rather small. I like my oysters plump and juicy as it does make a difference in the oh chien. 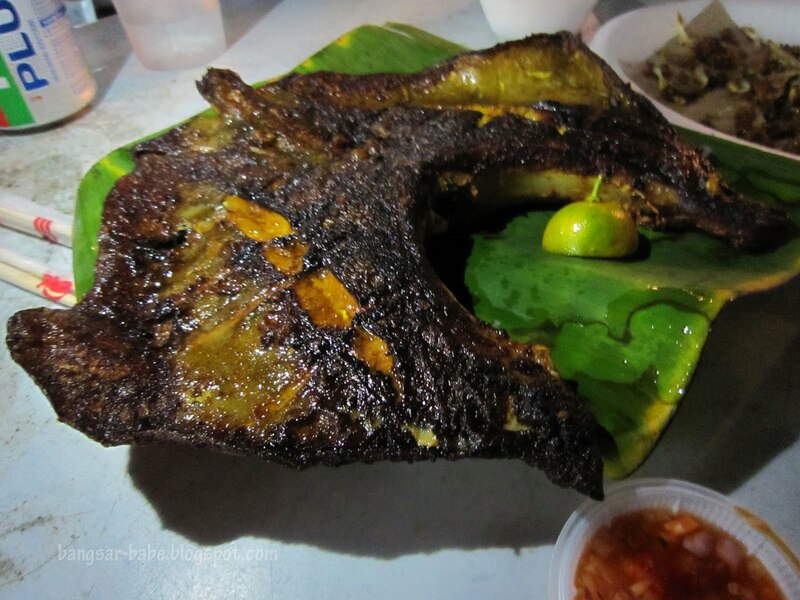 rif ordered a grilled stingray (RM14) to share. 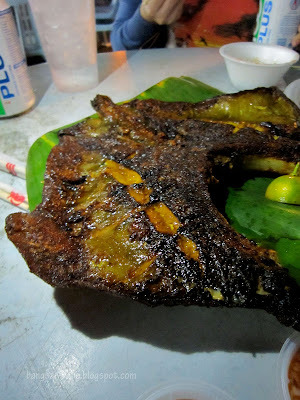 Of all the stalls we ordered from, the uncle who manned this grilled seafood stall was the friendliest. The grilled fish was sizeable and meaty. 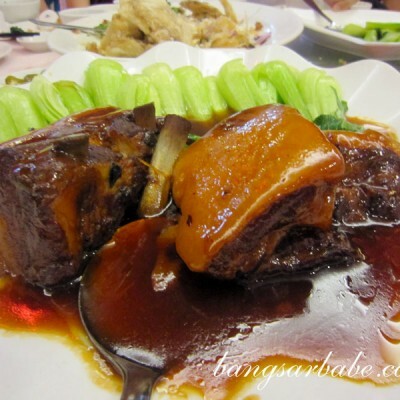 The accompanying sauce was spicy, sweet and tangy with a good bite from the chopped onions. Good stuff. I didn’t understand why people liked the fried carrot cake (RM2.80 – large) – first stall on your right as you enter the food court. This was burnt, yet wet and under-seasoned. I didn’t know such a combination was even possible. 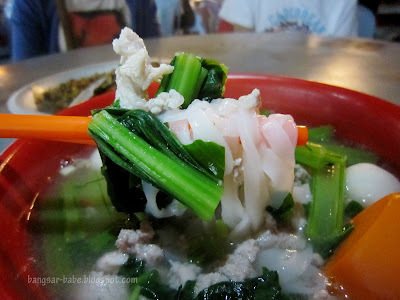 The pork noodle soup (RM3.50) was one of my favourite orders that night. The broth was thick and porky (possibly some MSG), and my noodles came with plenty of minced pork and pork slivers. If you love your pork noodles extra porky, you should try this. We ordered some grilled chicken wings from the stall next to the fried carrot cake. 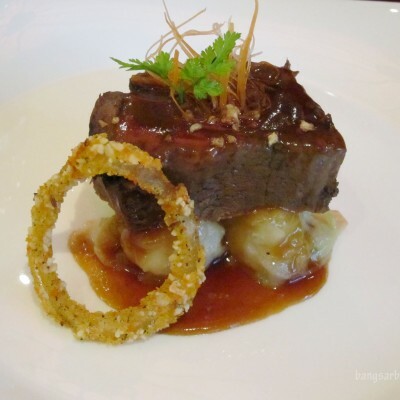 Sadly, the auntie was snobbish and kept forgetting our order despite three reminders. We waited for more than an hour, before giving up and leaving the food court. 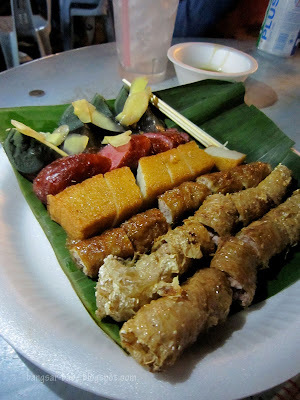 Verdict: Decent hawker fare, good portions and affordable prices. Mmmh… those bits of garlic on top of the first bowl of yummy food makes all the difference eh! 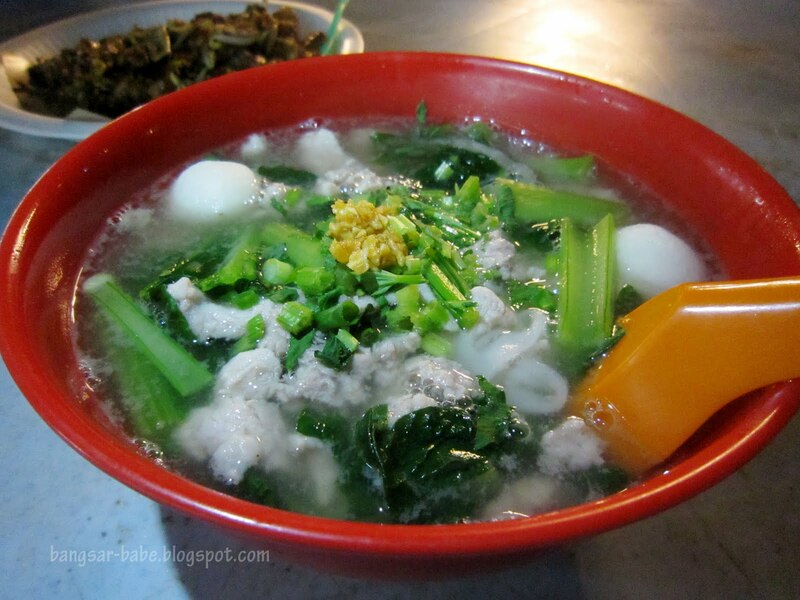 I miss LOR BAK / ngor-hiang … a LOT! Yeah, had dinner once before. 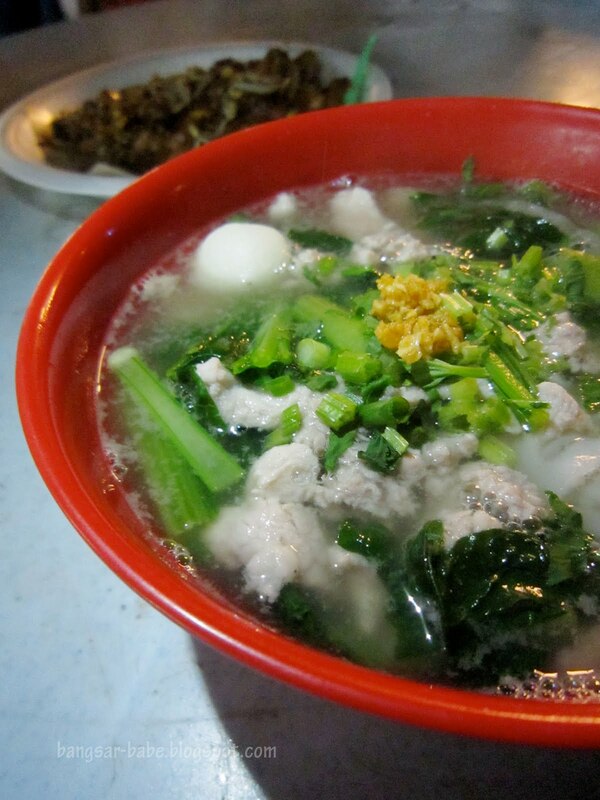 Nothing that made me jumped at the next opportunity to eat there, but rmbr the lor bak stall was pretty outstanding.